Heat maps are a fantastic tool to know what users are doing on your site. But what specific applications do you have to optimise conversions?. By using Heat maps we can increase the conversions through our website or blog. So, in this article, I am going to explain about CRO heat maps, its use and tools to generate heat maps. Heat maps are a visual representation of how users interact with your site style thermal images of an infrared camera. Red implies high mouse activity or touch screen, while blue implies low activity. What are Heat maps for? The movements of the mouse on the page. Areas of greatest visual impact. Where and to what extent clicks and pulsations are made. How far is the scroll? Here are different types of maps and their features. See below. They show the areas where the mouse moves, which in theory are the same ones on which the user directs the view. They are very popular and are often sold. The mouse movement maps are based on the idea that users use the cursor to guide the look on the screen (just like the index finger on a paper). However, it has been denied that this is the habitual behaviour of the user (as is reading with the finger). The position of the cursor rarely corresponds to the direction of the gaze, hence it is best to be wary of such maps. A variant of the previous ones, with the difference that the areas of interest are calculated mathematically. The algorithms of visual attention predict attention to the different page elements from the colours, contrast and visual hierarchy, among others. By disregarding human interaction, they are interesting to evaluate new designs or sites with little traffic. In any case, you must take them with caution since the results are only one interpretation. Clicks maps show areas where users clicked on our site. What links and buttons do users use. Where they click is not a link or button. Elements that distract the attention of the user, preventing them from clicking. Areas aspect clickable (only apparently). Sections that do not stand out enough. They show how far people come with the scroll, revealing the point at which they leave. What content users are not seeing. At what height they lose interest. Try to upload the most important content. Detect confusing points that look like the end of the fold. Assess the possibility of adding visual signals. Session videos record users behaviour throughout the site. Bottlenecks where users stop completing the action. Session videos are the closest thing to user testing, except that they show real users (who do not know they are being watched). Truly valuable information. Similar to Google Analytics, they show the point where users leave the conversion funnel. The difference is that the reports are linked to session videos, so you can see the complete route of the users. See the reasons that prevent the action from being completed more clearly. Compare the behaviour of users who convert versus those who do not. They give you the ability to analyse the performance of the form fields separately. That way it is easier to find the ones that are problematic. They tend to fill in badly, causing errors. They are left blank, despite being mandatory. They take the time to complete, perhaps because of doubt or difficulty. In front of a form that is not sent, the form analytics tells you the exact point of the problem so that you can solve it. How to make heat maps? Heat maps are created using tools that collect data on the use of the site and generate visual representation. There is a large market with solutions for all our needs and pockets. Clicktale – High-level business solution. SessionCam – Alternative in business tools. Inspectlect – Comprehensive and accessible, it analyses more data than others in its category. Mouseflow – Good quality/price and installation without code in all types of CMS and E-commerce. Crazyegg – Very popular although its functions are limited. Hotjar – The all in one affordable (and with free plan). EyeQuant – The most advanced. Collect a sample large enough – It is not reliable what 20 users do. As a general rule collects at least 2,000 visits per page/device. Using heat maps with other tools – In isolation, they can lead you to the wrong conclusions. Combine them with other research methods such as digital analytics ( Google Analytics ) and qualitative studies. Mouse motion maps are questionable. Visual attention maps employ algorithms and can be used for sites with low traffic. Click maps tell you where people click and where they do not. Vertical scrolling maps help you optimise the length of pages. Session videos reveal the behaviour of users. Conversion analytics complements Google Analytics conversion funnels. Form analytics helps you identify problem areas. This is all about the CRO heat maps you need to know about. I hope this article helps you in solving the user interaction problems and increases the visibility range. If you have any queries about the CRO heat maps, let us know in your comments. We can discuss and sort it out. 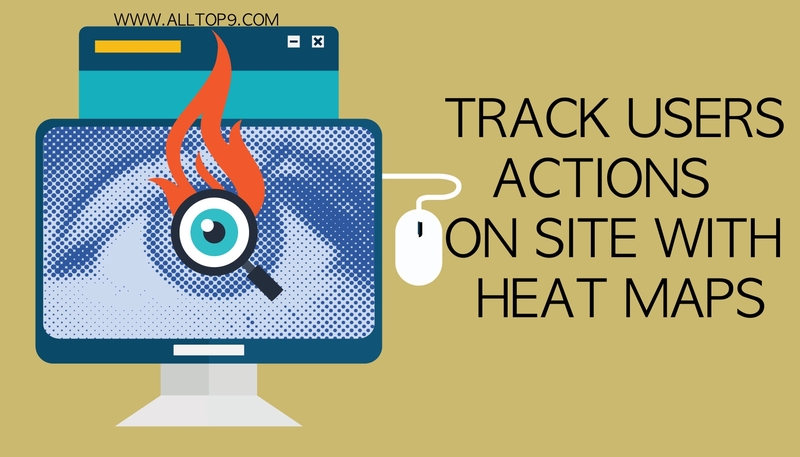 Which CRO heat maps do you use for your website? Awesome post……. Your article is great tutorial for me and other users. But your tutorial is really amazingly informative and helpful, because tracking exact action of visitors on website is not as easy as a cup of tea. Really you have described everything in descriptive, simply yet effective too. You’ve done a great job with this.